If your car broke down on a busy road, or if your washing machine didn’t come on one day, what would you do? Perhaps you would spend much of your time watching Youtube DIY tutorials and become an amateur mechanic. Or maybe you would buy your next washing machine with a lifetime guarantee? However it would be like in reality to live in a world without mobile workforce, the practical implications are not appealing. To call roadside assistance when your car battery has given up, or to call an emergency plumber when there is a water leak in your bathroom is a lifesaver. What many don’t know is the complex sequence of events taking place behind the scenes from the moment the call reaches the call center to the arrival of the field worker at site. In the following, we will take a closer look at what specific challenges field service providers face and what part technology plays in the dispatch, scheduling and routing of a mobile workforce. What’s Important to Field Service Providers? With ever decreasing margins and ever increasing competition, an outstanding customer service experience can be the decisive differentiator for a customer choosing your services over a competitor’s. Keeping the customer well informed about on-site arrival times with accurate ETAs and providing a quick response when the situation demands it, all add up to a great customer experience. Another challenge facing mobile workforce companies is the high cost due to inefficient routing & planning. This can lead to an increase in miles and fuel consumption, as well as a decrease in stops per worker. Maximizing efficiency and productivity across your operation by integrating your back office software with your field service technology is key. Far too often systems don’t “talk” to each other. This means that your dispatch manager might not know where your field engineer is heading or when they’ll arrive. While at the same time, your mobile technician might not be aware of changes to their route due to unforeseen circumstances such as weather, rerouting due to traffic, or a priority job. Additionally, many companies in the service sector are experiencing high staff turnover leading to pressure to find and retain skilled workers. Upgrading your mobile worker’s to the right tech can play a positive role in employee satisfaction. 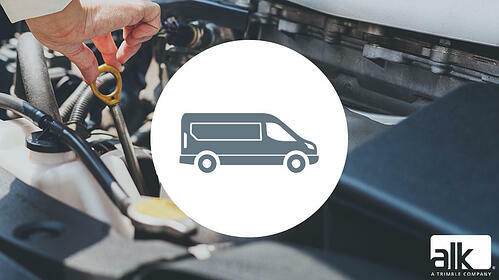 We work with a range of field service companies, such as the RAC, one of the UK’s most progressive motoring organizations, to provide them with navigation, route optimization and back office map visualization. Visit www.copilotpro.com or www.alk.com to get in touch.